Revolution makeup has really had an overhaul recently, changing branding and collaborating, with a whos, who of influencers and the like. The brand has a huge following and has already produced many must have products in the beauty world. So first impressions the packaging is good quality, extremely sturdy with a good reassuring click, it also has a little mirror which I like. 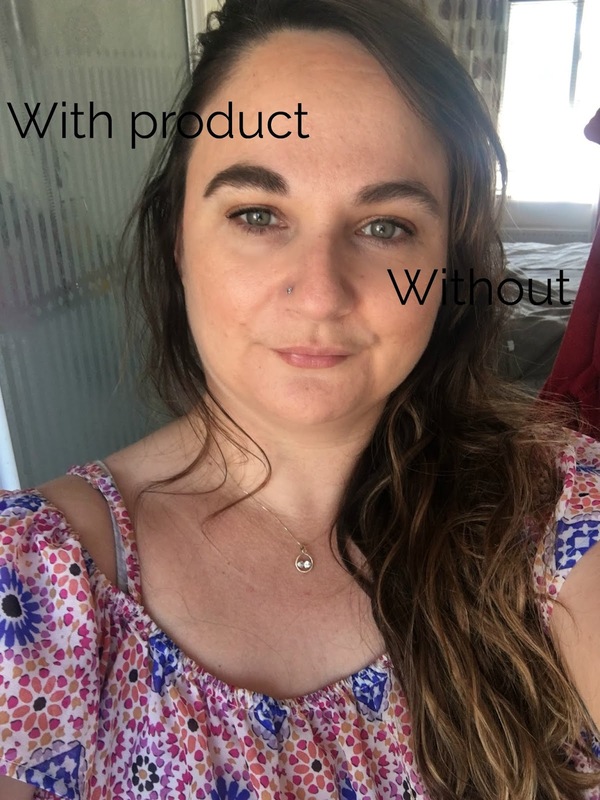 The product itself is different to use, but not in a bad way, because its a cushion the product isn't to wet, meaning you can build your brows gradually without ending up with to much product and dodgy brows. 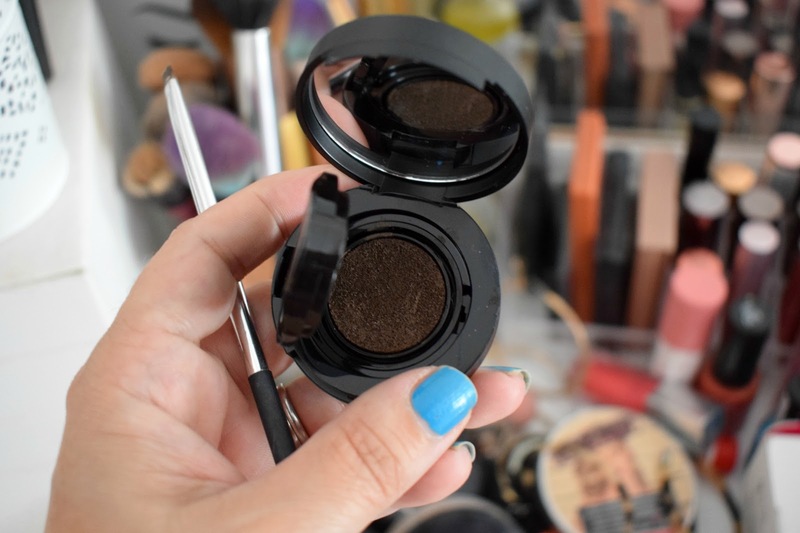 I use a small slanted brush to put the brow definer where I need it, mainly filling in gaps and making them a little longer, as they finish a bit short, due to years of plucking! I already have pretty good brows, if I say so myself meaning it takes me just a couple of minutes to get the desired effect. Also this product has staying power, I have been using it through this mega hot spell, and those bad boy brows have stayed put. 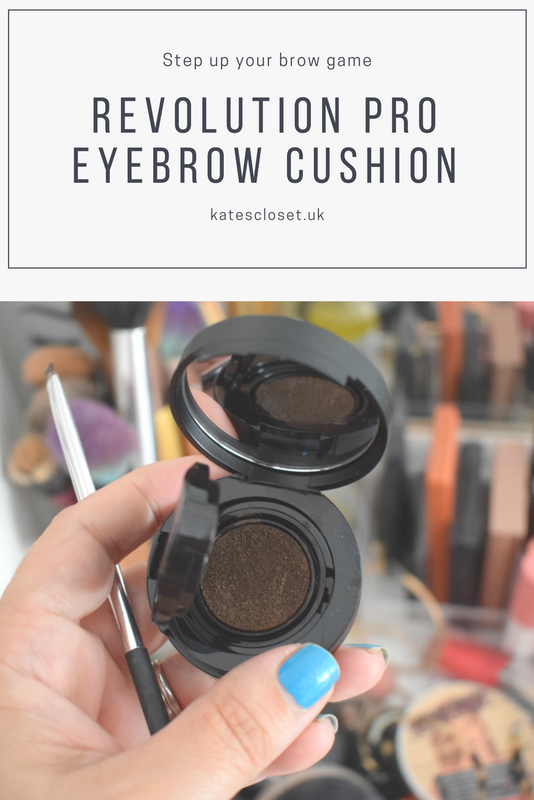 Overall I have been really impressed with Revolution pro eyebrow cushion, I like the shade, I like the ease of use, I like how travel friendly the packaging is and I'm loving that staying power, and all for a fiver not bad !